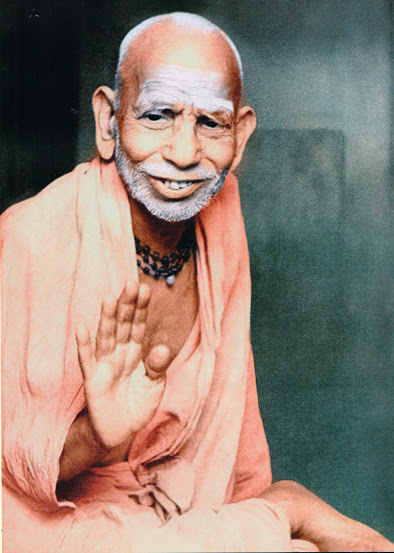 We have specialized in taking & Preserving the Rare Pictures of MAHASWAMIGAL, PERIYAVA, BALASWAMIGAL. With the BENIGN GRACE OF HIS HOLINESS SRI SRI MAHA SWAMIGAL and the Blessings of PERIYAVA & BALA PERIYAVA, we are having an opportunity to participate with the KANCHI MUTT in celebrating the JAYANTHI MAHOTSAVAM & HOLY ARADHANA OF SRI MAHASWAMIGAL at KANCHEEPURAM every year and also in participating in the HOLY PRADOSHA POOJA of MAHASWAMIGAL`S BRINDAVANAM every fortnight. We also distribute SRI MAHASWAMIGALS PICTURES free of cost along with SRI MAHASWAMIGAL`S ABHISHEKA VIBHUTHI PRASADAM in a container. As a token of our gratitude to THE KANCHI MUTT, we felt it is our duty to telecast the PRADOSHA POOJAS to the entire world, LIVE through the launching of the website free of cost, so that the devotees of the mutt worldwide, will be blessed at home itself by viewing our website on these occasions. In Near Future, we intend doing a same KAINKARYAM at SRI MAHASWAMIGAL'S TEMPLE built in total Granite Structure (only temple built in granite after the Monarchial period) at ORIKKAI 5km away from KANCI MUTT on the banks of the RIVER PALAR. Further we are planning to construct ANNA KOODAM to enable the Devotees to have the PRASADAMS OF MAHASWAMIGAL right from Morning to Night at ORIKKAI TEMPLE. WE INVOKE BENIGN GRACE OF SRI MAHASWAMIGAL, towards this noble cause and as well the prayers of devotees in fulfilling our aspirations at the earliest.